An explosive, fast-paced thriller set in Nazi Germany. Gretchen Muller has, as best she can, dealt with the horrors of her family's past. Her father, a senior Nazi officer, died to save the life of their leader, Adolf Hitler. And now Germany has the chance to be great once more. Swept up in the excitement and passion of life in Munich in 1931, seventeen-year-old Gretchen has embraced the life laid out for her by that leader, her 'Uncle Dolf'. But the secrets of the past cannot be silenced forever. When Gretchen receives a letter from an anonymous sender claiming to have more information about her father's death, she becomes swept up in a desperate and dangerous search for the truth. With the full might of the ever-powerful Nazi party on her tail, it is a race that will risk everything she has and change her life forever..
"It's terrifying and incredible to think how much of this story is true" - Elizabeth Wein, author of CODE NAME VERITY. 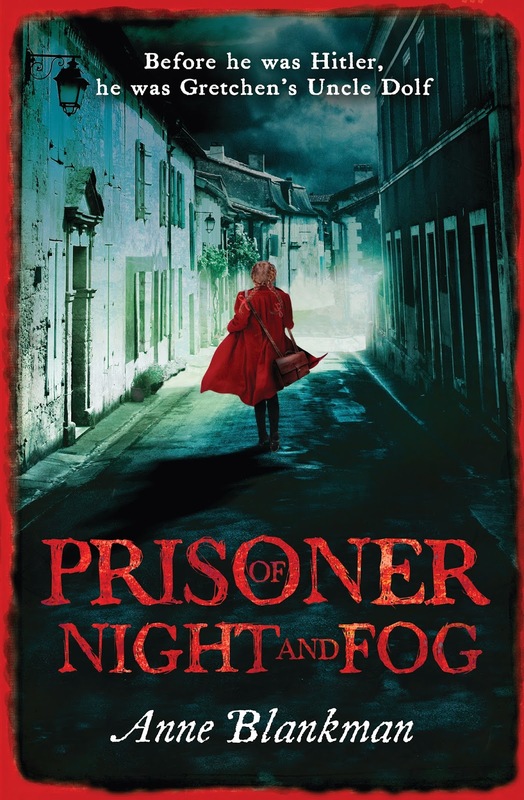 I read Prisoner of Night and Fog back in November and really, really enjoyed it! I'm currently working on my review, which should hopefully be up at some point in March. So, what do you think of the cover? Personally, I love it! It suits the story. This is very cool! There's sort of a "Little Red Riding Hood" aspect to it. It's so different from the US version but I really like them both! Seriously, there's a looming sense of danger in this cover, and the type--it's perfect! Congrats on another beautiful cover!! I like how it's like a photography, but at the same time could be a painting. It looks good:) Thanks so much for sharing, Renu! Thanks, Renu, for hosting the cover reveal! It looks great! So many people have said that the cover makes them think of Red Riding Hood. I'll let you in on a creepy, little-known fact about Hitler--he liked to call himself Herr Wolf and used to go around whistling, "Who's Afraid of the Big, Bad Wolf?" Yes, for real. I really, really, really like this cover! I can't wait to read this books! Oooo this sounds like a fascinating read, and the cover definitely seems to fit. This is the first I'm hearing of this book and I am so looking forward to it now! The cover is so gorgeous!!!!!!!!!!!!!! And the synopsis is intriguing.. even though I am not a fan of historical fiction. OH MY SO PRETTY! I read this and loved it, but wowza, this UK cover is gorgeous. I had no idea you've already read this. Looking forward to your review! I like this cover so much better than the US one on the ARC that I have! Hope we both love the book! I like the UK cover better!! Can't wait to read your review - have a lovely week! 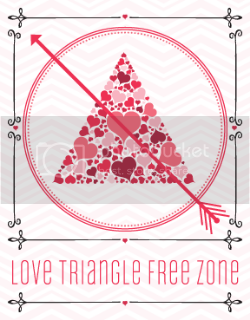 Ooh think I love this one more than the US one! I still have to read this one so I can't speak as to how well the cover suits the story like you can, but I think I like it better than the US cover. I'm really curious to read your review for it!